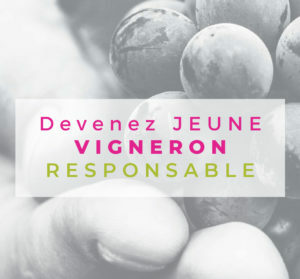 Accueil / Become a winegrower ! 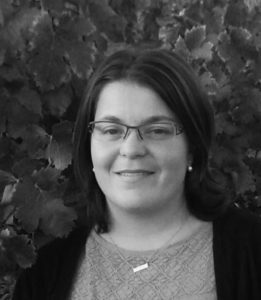 Lauriane GOUYON, winegrower & member of Caves de Rauzan. I am a winegrower at the Caves of Rauzan. I am installed « as young winegrower -JA- since March 2013. I am 31 years old. I have the status JA until 2018. I exploit 26,60ha of vineyards (24,40ha in renting and 2,20ha in property). There are three of us working on the wine estate: two part-time employees and myself. After high school I obtain a high education qualification in wine trade at the MFR Vayres. At the end of the BTS, I worked in an organic supermarket. This job did not suit me and I wanted to make a change in my life. I then decided to take over the estate of my parents who were eager to retire. How was your « young winegrower, JA » career ? I went to the information office in Bordeaux. They asked me to describe and explain my installation project (self-diagnosis). I then worked out with the Chamber of Agriculture my PPP (personalized professionalisation plan). I then did my 21-hour pre-course which went very well. I developed my PDE (Exploitation Development Plan). It is made for a duration of 5 years. One check up is made every year with a consultant. Moving to JA is a long journey and takes time. I started taking steps in June 2012 to settle in March 2013. During this period I was an employee of my parents. What did you get JA status ? At the financial level, I was able to benefit from subsidies, tax benefits and the reduction of social security contributions. The JA course also allowed me to meet other young people in the same situation as me. When you start, it’s important to build relationships and discuss issues. How did the cooperative winery help you as a JA ? I moved in March 2013 as a member in the winery of Nérigean. Following the merge with the Rauzan winery in January 2016, I was able to benefit, as a JA, from the increase in vineyard remuneration. This money allowed me to partially finance the purchase of a trimmer and a tractor. To benefit from this help, I am committed to the “advanced level” Agri Confiance® approach. It makes us aware of good phytosanitary practices. To do this the winery technician came to my estate to check up the infrastructure in place and help me to plan future adjustments. As a result, I updated my local phytosanitary. The next step is the purchase of a retention tank for oils. Since your installation, what changes have you made to your estate ? In 2013, I created my saffron to diversify my estate. Since 2014, I have a local shop on my estate where I commercialize my saffron and my wine estate (Château Les Prênes) in agreement with the winery. Since 2015, I take care of the vineyards of the town of Nérigean (member of the winery) in providing services. Finally, I had the opportunity to buy 2.20ha of vines to another member of the winery in 2016 and thus increase the area of ​​my vineyard. 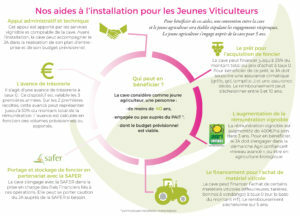 More information In Nouvelle Aquitaine for settlment : “je m’installe en agriculture”. 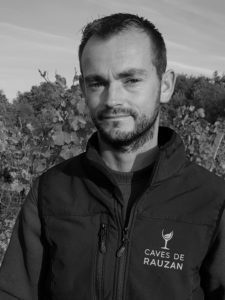 Boris Castant, winegrower & Vice president of Caves de Rauzan. “This project was born following two observations. First of all, at the Caves de Rauzan some members are old enough to retire. The future of their vineyard is uncertain. The Caves of Rauzan aim to sustain these farms. In addition, for a young person whose professional project is well determined, an installation as a JA can seem to be difficult.